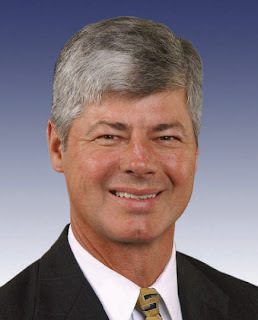 Tell Rep. Stupak (D-MI-1st) not to give in on abortion! If you do not reside in Rep. Stupak's (MI 1st district), please forward this alert to friends and family who do live in or around those areas of the state. Rep. Bart Stupak (D-MI-1st) has made it this far in the health care abortion fight with his group of 12 or so pro-life Democrats holding firm by publicly stating that they would vote NO on the Senate-passed health care bill (H.R. 3590) because it allows for public funding of abortion, but he is coming under increased pressure from the White House to give in and "resolve" his concerns with the abortion language. If Nancy Pelosi (D-CA) didn't need these pro-life Democrats' votes to pass the bill, Bart Stupak wouldn't be coming under such intense pressure to compromise. Even House Majority Leader Steny Hoyer (D-MD) said today that the abortion language has "got to be resolved." It is crucial that this coalition of pro-life Democrats stays committed and united against both the Senate bill and any Democrat manipulations and promises to "fix" certain aspects of the bill at a later time by reconciliation. We need YOU to let Rep. Stupak know that pro-life Americans all over the nation are behind him and are relying on him to keep his word. Stand his ground and resist White House attemps to manipulate the pro-life Democrats and make false promises about the health care abortion language.